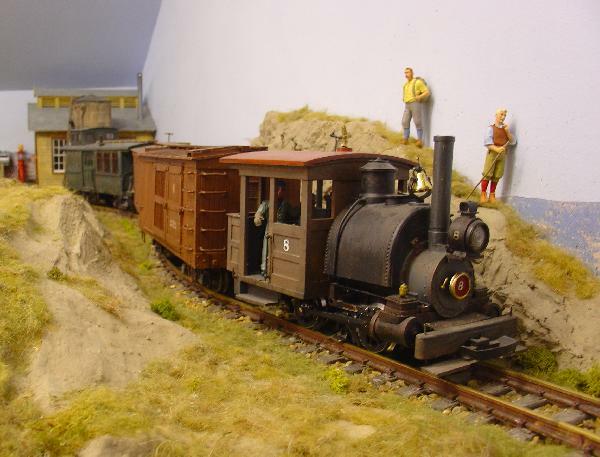 Some of the Majorcan stock worked out better than the others - this railcar was one of the "betters" - shame I sold it, The mechanism was an old Piko one, so it growled along just like the real one probably did. It's nice to have some colour pictures of the layout, as mine were all monochrome, though at least the prints haven't deteriorated with age like many colour films of the period. The old Piko (railcar?) chassis is actually a good runner, even if it does growl along. 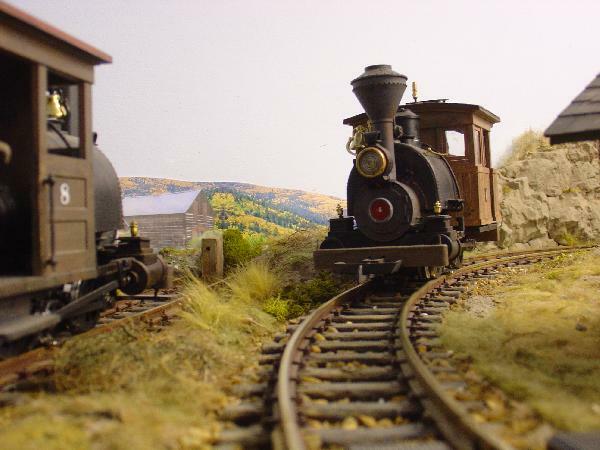 I picked up one recently for my French HO layout, and it is still a good runner. Many older chassis used to appear to be good runners, but compared to many current models , are definitely lacking. The Piko one still compares pretty well, but I may feel different after I have run in a lot. Suspect a lot is dependent on weight of chassis, as too many are not heavy enough. Puerto Paseo has two Piko chassis in use - the larger railcar (like the Majorcan example it uses the 4-wheeled railcar chassis) and the smaller 2-6-0. Nice old fashioned technology that means you can probably see (and remedy) any faults that occur. Both came from online auctions so may have put in some mileage, but both still work OK. 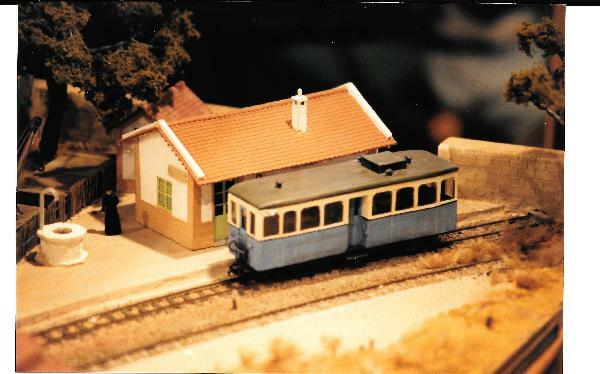 I used to use a previous Piko railbus to test out club layout many years ago. Although I would not trust some East German electrical items, they were very good at small electrical items, possibly because they inherited many old good quality German engineering companies. 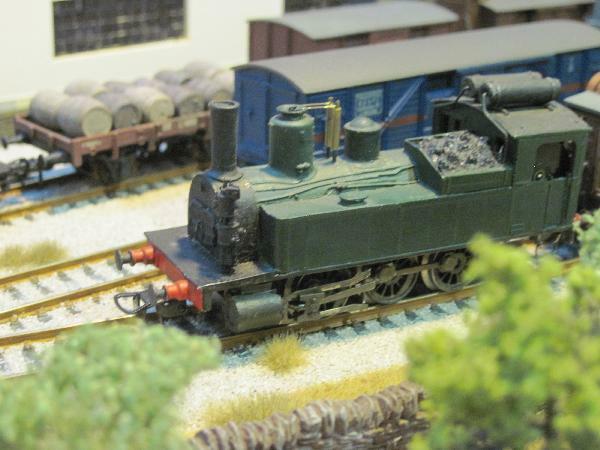 Giles, I seem to remember you using a Piko Ho steam loco on your French layout, although I might be mixing it up. There was an article about Frenchifising the German loco, which would have been one of those Germany had to give France as compensation. ....which is now working on a tourist line out of Saujon in the Charente Maritime, known as the Train des Mouettes (The Seagull Line). I copied the details from a book of photos of minor French railways by Yves Broncard, but visited the line while on holiday. Despite the builder's name, she was built in France. they had one in their range in old East Germany days. That's the one, but in those days they were about £15 to 20 second hand, so one could chop them without wincing. At around £100 new these days I might have second thoughts. The worst bit was cutting away the front of the tanks as there was almost nothing left of the footplate to give some strength to the front end. I forget how I tackled it, but presumably the article in MTI #3 might shed some light. The price for the old version has gone up a bit, but I still think it is too much. 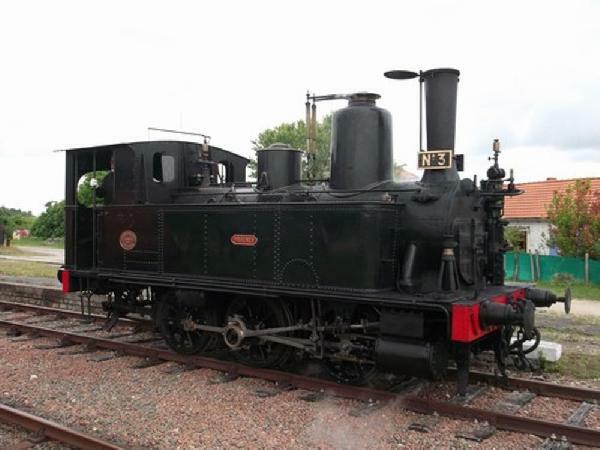 I would not necesarily chop up one of the new ones,they look like they have an improved motor(not visble in cab), as I think some did end up in France. I did notice there was alsoa Br89 in old Rivarossi range. Just revisited the Cattewater & Southern RR pictures. 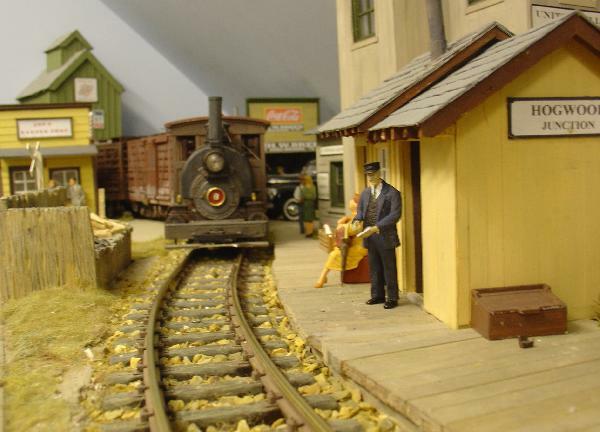 The layout only lasted about two years before a house move forced its closure. Fine scale it wasn't, but it was a lot of fun while it lasted. In particular it allowed an operating team to work the trains from time to time - the job it was built to do. It also offered plenty of opportunities for kit-bashing some unique rolling stock. Exactly what I hope to do with the FCPyF when it's completed... Though definitely as a warm weather pastime, there's no heating in the garage! 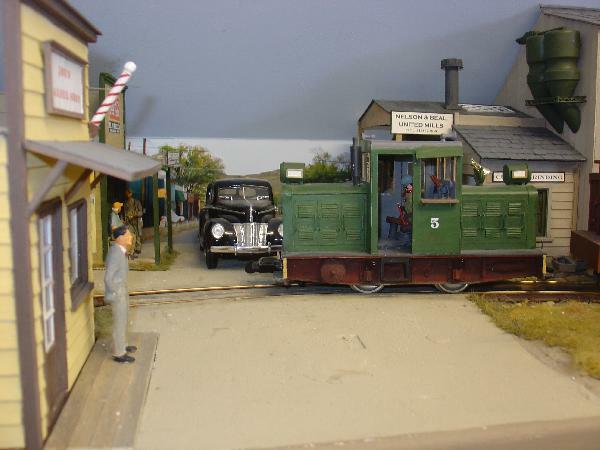 Continuing our trip over the C&S, we cross the trestle and run into the back streets of Hogwood Junction. 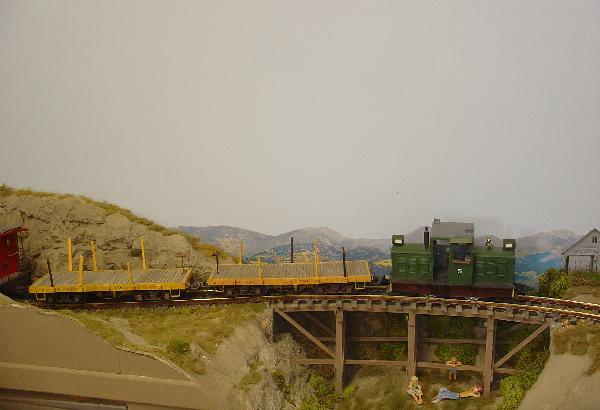 These pictures were taken during a Running Day, and the Dispatcher (me) wasn't keeping an eye on the trains' loadings - those yellow flat cars ought to have been loaded with logs! Later the diesel returned on a train of empty mine cars. 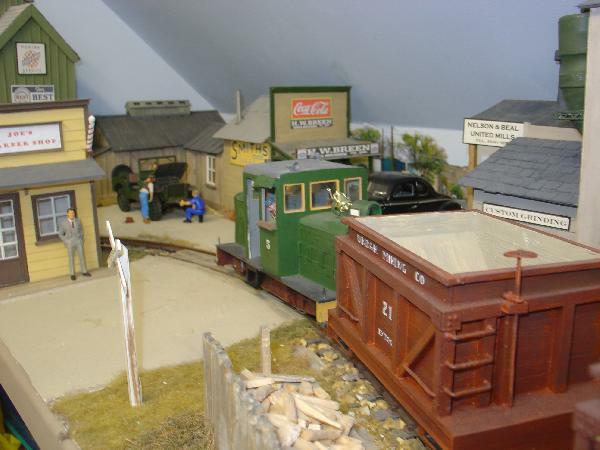 The loco was based on a two-ended Davenport design copied from a Dave Frary HOn30 kit-bash. This shot reminds me how surprisingly difficult it was to paint the barber's pole. 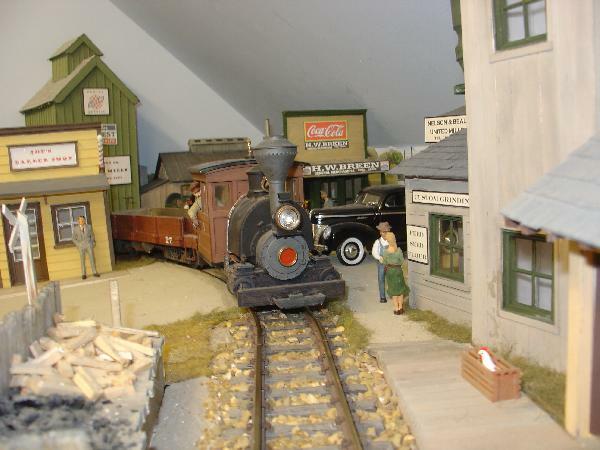 The grade crossing and town of Hogwood was always a favourite photo location. 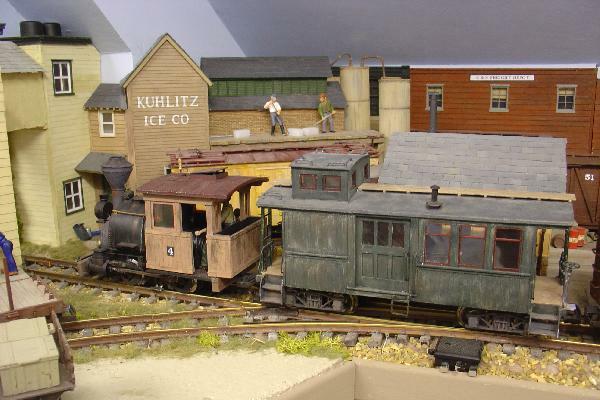 Here #1 enters town at the head of a freight bound for Bonneyville. The depot started out based on a photo of a station on the Keighley & Worth Valley Railway, but the buildings later gained wider, overhanging roofs, which I think lent them a more American air. 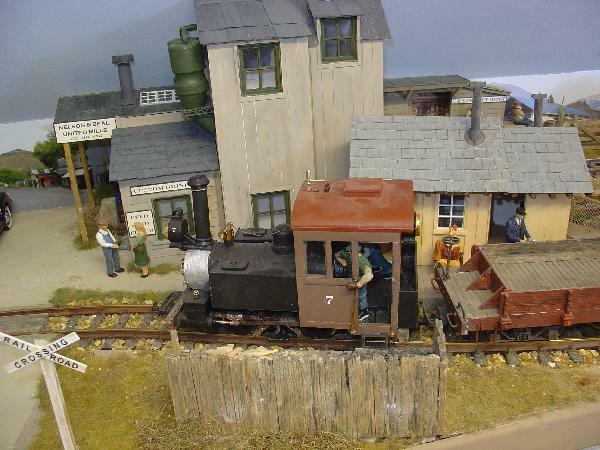 A friend sent me this recently - a familiar face from Ste Emilie, that I sold when the layout was scrapped. It's conversion was described in MTI#3, but this is a much better photo than the published ones. The prototype that inspired the conversion was pictured on the thread in October 2016. Giles, that was the loco I was talking about a few months ago.